Porto is not only home to the famous wine that shares its name but is also the second largest city in Portugal, after Lisbon, and one of the fifth largest cities on the Iberian Peninsula. Porto was settled centuries ago and its architecture and culture have been influenced by its rulers as well as the lands that Portugal once ruled or traded with. Because of its rich history, Porto’s city centre is a UNESCO World Heritage Site. Porto motorhome rental, campervan hire or RV rentals in Portugal will afford you an opportunity to explore the city’s many historical sites and the surrounding area’s natural beauty. Starting out at the old town centered in the Zona Ribeirinha and overlooking the River Douro, Porto’s old Baroque style churches and Moorish influenced mosaics exemplify this city’s dramatic past. The National Museum is the oldest museum in Portugal and is a great place to learn about this great country’s past. With your campervan hire or RV rentals, follow the lead of the Douro River running through the city and ponder on its long documented history of being a main trading point between the Old and the New World. Better yet, get in one of those cruise boats and let the course of the river carry you into the heart of the Douro Wine Region. About an hour’s drive north in your campervan rental in Porto will bring you to Peneda-Gerês National Park, the only national park in Portugal. This breathtaking area was set aside in 1971 to protect the resident flora and fauna of the region like the red squirrel, roe deer, wild boar and gray fox, and especially the threatened semi-aquatic nocturnal mammal Pyrenean desman. Your Porto motorhome rental can also take you north to the Romanesque Route, an area divided into three routes that are connected by roads and have 14 monuments whose architectural heritage is unquestionably tied to Portuguese national identity. 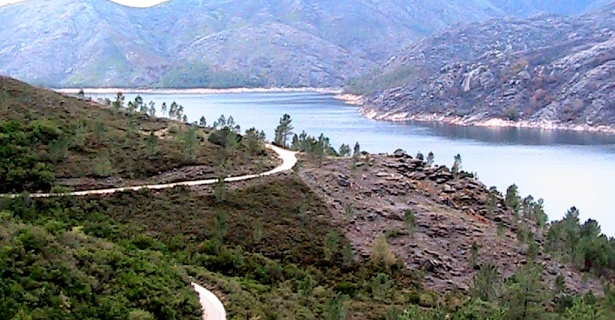 Get off in your Porto motorhome rental and venture out to the Arouca Geopark, which was recognized by UNESCO in 2009. It is set up to for education on geo-conservation and has many activities such as canyoning, canoeing, rafting and mountaineering. If you return to Porto for dinner you will find a vibrant and cosmopolitan restaurant scene where the latest fusion cuisine can be paired with the sweet wine that the city is known for. If you are craving for something truly unique, try ‘Francesinha,’ a toast with layers of meat inside that goes best with beer not wine. Porto is virtually the only place where you can find ‘Francesinha’ of excellent quality. Porto is surrounded by Blue Flag beaches in Gaia like Miramar, Granja and Aguda. Espinho is another popular beach destination with deep fishing roots but now also buzzing with nightlife. If you came in search of food, indulge in its wealth of sea food offerings instead. Porto’s old world charm, surrounding natural beauty, and rich cultural opportunities make it the perfect place to go exploring in campervan hire or RV rentals. Portugal, being one of the best value destinations in Europe along with its size and North-South disposition, makes a Porto motorhome rental a splendid way to make a holiday and tour this corner of the Iberian Peninsula.